There are many customs and traditions associated with Chinese New Year. One of them is to look at the auspicious door directions on the day of Chinese New Year. 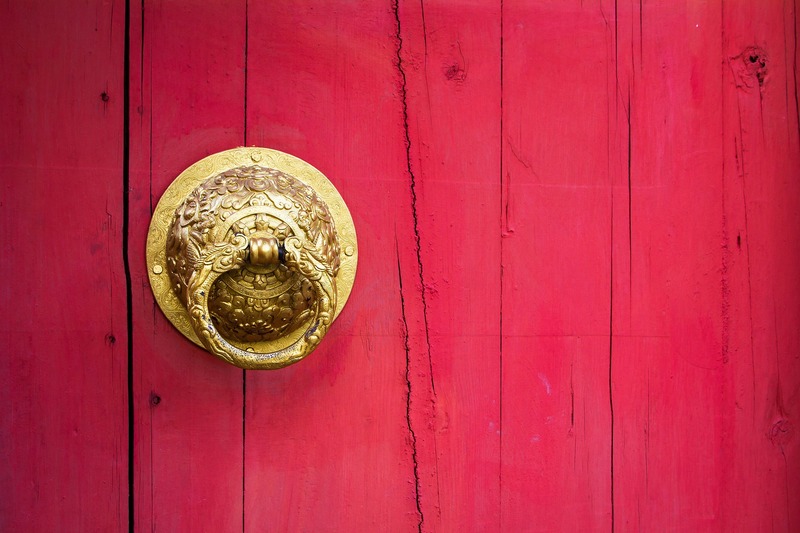 Feng Shui masters recommend to only open those doors that are facing a good direction! All doors that are facing a bad direction should remain closed on the first day of Chinese New Year, even if that means you have to stay indoors all day or, as my master Lillian Too did a couple of years ago, take your family away on a holiday over the Chinese New Year period. This year, Chinese New Year falls on Tuesday, 5th February 2019. It is said to be extremely auspicious to welcome the God of Wealth into hour home on the first day of Chinese New Year, coming from the South direction this year. Remember to keep these doors closed on 5th February!